So, you found the girl, you found the ring, and you've asked her parents. Trouble is you can't for the life of you figure out a way to ask her the big question. And it better be good, because you know she's going to want to call and squeal to all her friends. The pressure's on. Don't have access to a hot-air balloon? No flash mob at your disposal? No problem. 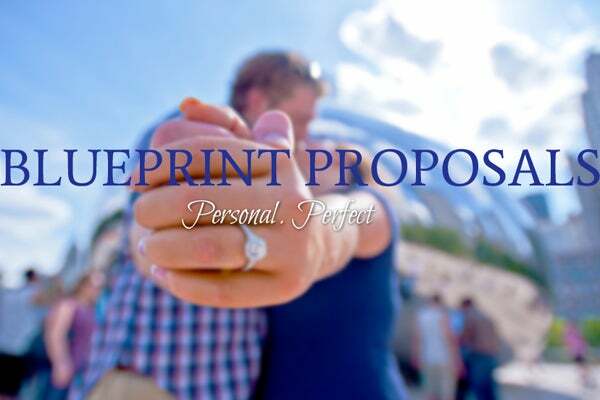 Enter: Blueprint Proposals, the new NYC duo that (for a little cash) will actually plan your proposal for you. Think: Central Park scavenger hunts, Highline picnics at sunset, and even airplane proposals à la The Wedding Singer. You tell them your relationship story; they'll give your soon-to-be-fiancé a good one to tell to all your friends. Now, let's just hope the rock lives up to all the hype. Blueprint Proposals, 162 16th Street 162 16th Street 7D (at 5th Avenue), Brooklyn; 402-980-3222.